If you’ve ever been or live in New York City, then you'll be familiar with those three-wheel motorbikes that go around issuing parking tickets. Well, it’s the police officers behind the wheel who slap the tickets on your windshields. And soon those officers will be given a new ride. Smart USA has just announced that it’s already delivered the first 100 Smart fortwo vehicles to the New York police department. Another 150 cars have been ordered, all of which will replace the aging three-wheeler motorbikes. 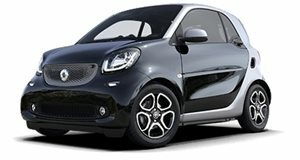 Hey, it looks like Smart USA has finally found a customer for its Smart fortwo because . The Smart fortwo does, however, have one very important feature the old three-wheelers don’t: air conditioning. Gotta be comfortable when writing tickets. Other specific features these white and blue police smarts include are blue revolving roof lamps and police radio equipment. One police officer who already took a new fortwo on patrol around Chinatown said that not only is it more spacious than its predecessor, but that "many people say that the little patrol cars are really cute, too." So much for authority.